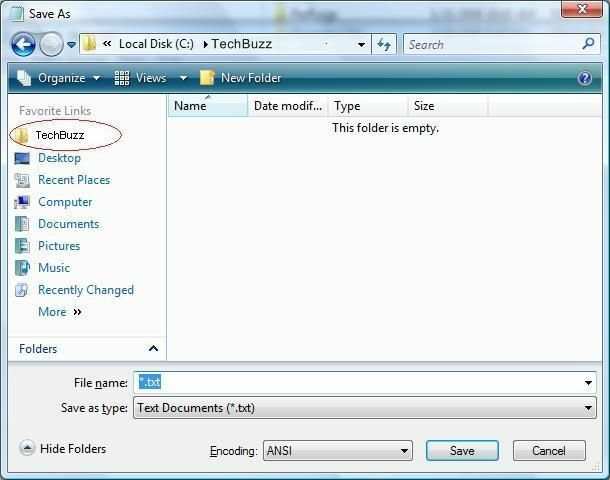 In all Windows Operating Systems, anytime you try to save a file, you will be prompted with a “Save As” window in which you can name the file as well as select the file type and the location for saving it. In Windows Vista, you will find standard locations like Computer, Picture, Desktop, etc. listed under the section “Favorite Links” for user convenience. However, if you wish to add and display the folders/ locations of your choice under the section “Favorite Links” in your “Save As” window, you may do so by following the below mentioned procedure. Go to Windows Explorer and navigate to the folder “Links” which you will normally find at the location “C:\Users\[user name]\Links”(user name in this path is your computer’s user name). Within the right window pane, right-click on any empty space and select “New”. From the “New” submenu that appears, select “Shortcut”. Now click on the button “Browse” to choose the path of a preferred folder that you want to display under “Favorite Links” and then click on “Next” button. Give a name to the shortcut and click on the button “Finish” so as to complete the process of shortcut creation. Now, save any document by using the “Save As” option. You need to select the option “Browse Folders” placed at the bottom-left corner of Save As window. You will notice that the folder which you had selected in the above procedure has been added as a default location under ““Favorite Links”.